We welcome back Ms Savitri who has resumed her interesting and informative postings on Arunachala-live. 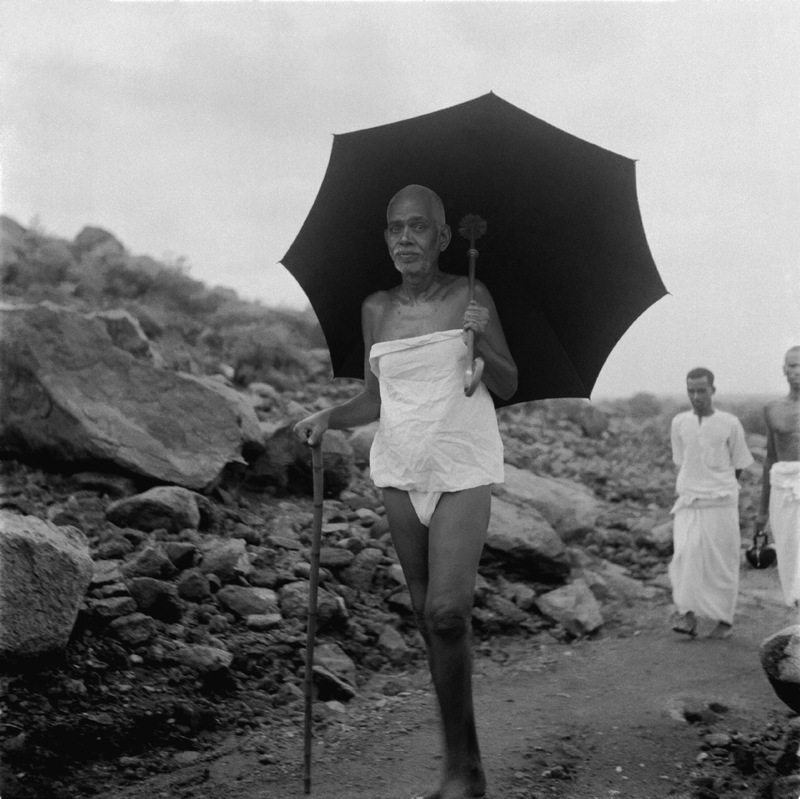 Many are inspirational from the works of Ramana Maharshi and others as well as describing meaningful processes and spiritual points of interest around Tiruvannamalai. 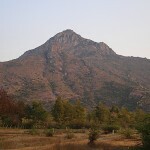 This blog page, 'Posts from Arunachala-Live', is being done by Ms Savitri who is a long term resident and devotee of Arunachala. The 'Posts' are meant to provide news of important events and also give to those interested in Girivalam an explanation of the various temples and shrines on the path around the hill. Occasional inspirational quotes will also be given. If you would like to support the continued posting of the information found in the 'Posts from Arunachala-live' please contribute to Arunachala-Live Contributions and mention 'Posts'. The aim of Arunachala-Live is to bring the presence of Arunachala to those at a distance through the internet. If you would like to join us in this service to Arunachala's devotees please contribute to the operating costs of Arunachala-Live. 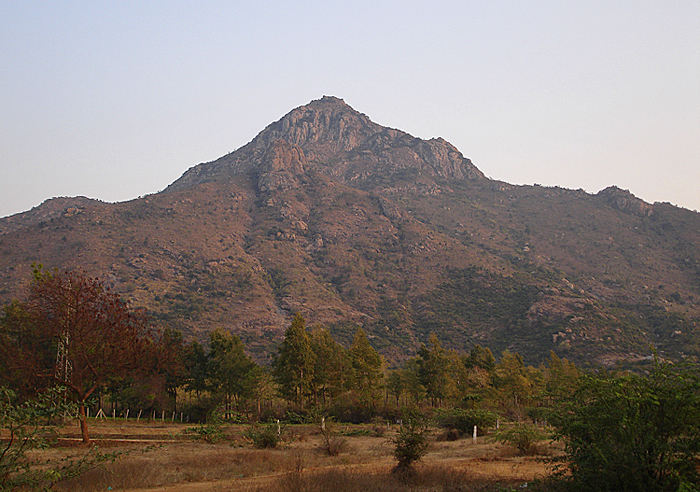 Several new features have recently been added to Arunachala-Live. The daily chanting of the Tamil Parayana from Sri Ramanashram on the main page and links to a new photo gallery to display our collection of photographs and contributions from other devotees. The Posts from Arunachala-live page has been created in response to Devotees who have requested photo coverage of events relating to Arunachala and its surroundings as well as a section with inspirational reading and topics for meditation. These you will find collected under Categories. We will also use these pages for announcements regarding the operation of our cameras and any difficulties we encounter with our hardware or network problems in Tiruvannamalai that interrupt our service. This will be found in the Arunachala-Live Camera box at the top of this column. We hope you enjoy all the features of Arunachala-Live. Vritti means a whirl-pool. It is a wave of thought that arises in the Antahkarana (mind). Vrittis are modifications of the mind. They are the effect of Avidya (ignorance). When Avidya is destroyed by Jnana, Vrittis get absorbed in Brahman (Laya), just as water thrown in a heated pan is absorbed in the pan. Wherefrom does a Vritti arise? From the Chitta or mind. Why does a Vritti arise? It is Svabhava of Antahkarana (real nature of the mind). What is its function? It causes Avarana-Bhanga (removes the veil of Sthula Avidya (gross ignorance) that envelops the objects). It helps the evolution of a man till he attains perfection (Jivanmukti). It is Vritti that opens the Kundalini in a Jnani in the Ajna Chakra and joins it in Sahasrara. This is one path. When the mind thinks of objects and dwells on them, it assumes the shape of those objects. It is termed as Vishayakara Vritti. When it thinks of Brahman or Infinity, the Brahmakara Vritti is formed. The Sadhaka should be very vigilant and circumspect in watching the mind and its activities. He must convert Vishayakara Vritti into Brahmakara Vritti. As soon as the mind drops down from Brahmakara Vritti into Vishayakara Vritti, he should again make the mind assume Brahmakara Vritti. This is a very hard struggle, indeed. From Mano-Vritti, you must jump to Viveka Vritti. Mano-Vritti concerns Manomaya Kosha. Viveka Vritti belongs to Vijnanamaya Kosha. By developing the Vijnanamaya Kosha, Mano-Vrittis are conquered. From Viveka Vritti, you must jump to Sakshi Vritti. From Sakshi Vritti, you must jump to Akhandakara Vritti. From Akhandakara Vritti, you must jump to Akhanda Ekarasa which is Brahma Svarupa. This is Kaivalya or Liberation, the final goal of life. Among the 8 scriptural works recommended by Bhagavan for spiritual seekers, the Ribhu Gita is the foremost one. Such is the power of the Ribhu Gita that Bhagavan used to say that just reciting the verses of the Ribhu Gita would itself take one to liberation whereas with the other works, it was necessary to study and understand and practice. Moreover Bhagavan felt that the Ribhu Gita was accessible even to ordinary people without high literary skills which are usually required for studying scriptural works. Bhagavan’s words were proved true years later when all saw Sampurnamma in the ashram as she sat silently and peacefully ever absorbed in the Truth of the Self..
Now what is this Ribhu Gita? Who is the author? The title Ribhu Gita literally means the Song of Ribhu and the author is none other than Siva, the Supreme Lord Himself ! The Ribhu Gita comprises the sixth amsa or canto of the hundred thousand verse long epic work Sri Siva Rahasya, and it consists of approximately 2200 stanzas which sing the glory of the Self or Brahman and the unreality of the perceived world. It is a dialogue between the sage Ribhu and his disciple Nidagha. The story of Ribhu and Nidagha (as retold by divine life society) Brahma had a son by name Ribhu. Ribhu, by his very nature, possessed a sound knowledge of Brahman. Nidagha, the son of Maharshi Pulastya, was a disciple of Ribhu. Pleased with the good qualities of Nidagha, Ribhu instructed his disciple fully in the knowledge of the Brahman. Ribhu found out that his disciple, though proficient in all the scriptures, was not steady in the knowledge of the Brahman, because he was not able to cognise the one Reality underlying the various objects of the Universe. Nidagha went and settled himself in Viranagar on the banks of the river Devika and began to lead an ideal life bearing in mind at all times the duties of a true householder. After the lapse of a long time Ribhu went to Viranagar with the object of seeing his disciple Nidagha. Nidagha was waiting at the gate in expectation of a guest after duly performing his daily sacrificial rites. Nidagha welcomed Ribhu warmly and took him inside the house. Nidagha duly worshipped the noble guest and humbly requested him to take his dinner. Ribhu said, O Brahmin! Please tell me what kind of food you will serve me today. I do not relish unholy foods. Nidagha said, I have got in my house wheat-flour, maize, fruits, roots and loaves of bread. Of these whichever you like I shall be pleased to serve you with. Ribhu said, I do not want all these useless food-stuffs. Give me good sweets, rice boiled in milk, curds, molasses and other delicious articles. Then Nidagha said to his wife, O mistress! Soon make ready a very palatable and savoury meal for our guest today with the best of articles available in the house. According to the wishes of her husband, Nidagha’s wife prepared the dinner and he fed Ribhu sumptuously. When Ribhu had just finished his dinner Nidagha humbly requested him thus: O my venerable guest! Was the food tasty? Are you fully satisfied? Where do you live? Where are you proceeding now and wherefrom are you coming? Ribhu replied, He who is hungry becomes satisfied when he takes a hearty meal. I was never hungry at all and why do you put me this question? When by the constant working of the Jatharagni (digestive fire) the digestive organs get tired, man feels hungry and when the water in the system gets exhausted he feels thirsty. Hunger and thirst are the Dharmas of the body and not mine. Since there is no hunger at all for me, I am always satisfied. Pleasure and satisfaction are the functions of the mind. I am not the mind too. Enquire then about these things whose Dharma is satisfaction, pleasure etc. Now hearken to me about the other questions ‘Where do you live? Where do you go? And wherefrom are you coming?’ Atman or the Self is all-pervading like the ether and therefore these questions do not at all apply to It. The questions themselves are without basis. I do not go anywhere. I do not come from any place and I do not remain in any one place. These differences of ‘I’, ‘he’ and ‘you’ are in respect of the different bodies and not in reality. The truth is that you are not you. I am not myself nor is he another different from the other two. A sweet thing is not always sweet. When I requested of you sweet rice etc., my intention was simply to know what you would say. For the really hungry man everything is palatable. The same food which is palatable once begins to give the reverse impression the next moment. When man has taken food to his heart’s content even the most delicious food causes retching. Thus the tasty food becomes non-tasty and vice versa. Further, is there any such food which is uniformly tasty in the beginning, middle and end? This physical body made of earth is kept up by food which is also earth particles in reality. Just as the wall built out of clay is kept strong by coating it with clay now and then, this body also remains healthy and strong by the atoms of food that we take. Barley, wheat, green dhall, oil, milk, curds, sugar, fruits, etc., are all mere atoms of earth only. Then which of these are we to call tasty and which non-tasty? Knowing thus you should educate your differentiating mind and try to see the one underlying thing in all and you should become serene. Serenity is the most important qualification for the attainment of Moksha. Hearing these words of wisdom Nidagha prostrated before Ribhu and humbly said, O Revered sir! Be gracious unto me. Please reveal thy identity. I think you have come here to bless me with the true knowledge. by hearing your soul-elevating speech I am free from all delusions. Ribhu replied, O Brahmin! I am your preceptor Ribhu. I came here to give you the knowledge of the Self by which you will be able to distinguish the real from the unreal. I take leave of you now. That which is true and which is fit to be known, I have already told you. 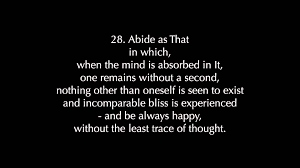 Ever meditating on these truths may you find the whole world indwelt by the one Vasudeva! There is not even a grain of difference or duality in it. Nidagha paid his due respects, worshipped his Guru and lived happily in the true spirit of the teachings of his Guru. After a long number of years had rolled on, Maharshi Ribhu, in order to instruct Nidagha in the knowledge of Self, again went to Viranagar City. When he reached the city he saw that the king of the country had entered the city with a big crowd of followers. He found big crowds of men in every nook and corner of the town busily engaged in the reception of the king. Ribhu noticed Nidagha standing in a secluded place far away from the crowds with Kusa and Samidha in his hands. Nidagha was much afflicted by hunger and thirst but he could not proceed further towards his house due to the huge crowd of men obstructing his way. Ribhu went near Nidagha and questioned him thus: Dear Brahmin! Why are you standing here alone in quite a solitary corner? Nidagha replied, Today the king of this country has come here and there is much crowd waiting upon him and I cannot push my way through the crowd. Hence I am forced to wait here. Ribhu said, You seem to know all about this place. Please tell me who is the king and who are the others. Nidagha said, He who is seated on the huge elephant which resembles a big mountain, is the king, and the others are his courtiers who have accompanied him. Ribhu said, Revered sir, you have described both the elephant and the king jointly and of the two I am at a loss to know who is the king and which is the elephant. You did not definitely point out or give me the description of both distinctly. That I would like to know from you. Nidagha said, Of these that which is below is the elephant and one who sits over it is the king. They have the connection of the carrier and the carried. I do not think that there is anyone who cannot understand even this. Ribhu said, Yes, I understood that. But please tell me what the words ‘below’ and ‘above’ mean. How am I to understand which is up and which is down? Nidagha at once got upon the shoulders of Ribhu and exclaimed, Look here, O Brahmin, hearken to me. I shall reply your query. Now I stand ‘up’ like the king and you stand ‘down’ like the elephant. This illustration I have given you practically to make you thoroughly understand what is ‘up’ and what is ‘down’. Ribhu said, What is ‘up’ and ‘down’? They are relative terms. ‘Up’ becomes ‘down’ and ‘down’ becomes ‘up’ from different positions or angles of vision. You told me now that you were standing up like the king and that I was standing down like the elephant. Please tell me ‘who are you? who am I?’ I am very eager to know the truth of this. Hearing these words Nidagha prostrated at Ribhu’s feet and said, O Lord! You are none other than Rishi Ribhu, my beloved preceptor. No one else can speak like this. You are very intelligent. You who stand in front of me are no other than Maharshi Ribhu. Pray bless me. Then Ribhu said, O Nidagha! Once you served me with great faith and devotion and welcomed me in your house. You bestowed on me great honour. So bound by the cords of your affection I, known as Ribhu, have come to you once again to instruct you in the knowledge of the Self. O thou of high intellect! Always behold the one reality of the Self in all objects of the world. May you see oneness everywhere and not duality. Saying thus Ribhu departed. Nidagha contemplated over the nectar-like words of his Guru and attained union with the Para Brahman. He was never again deluded by the charms of Maya. The world of duality entirely vanished and he saw the one homogeneous essence in every object from a blade of grass to the state of the Brahman. The grace of the Guru works in different ways. In scriptures, the working of grace is compared to the ways in which fish, tortoises and birds cause their eggs to hatch. The ancients believed that the mere look of the fish was sufficient to bring life to its eggs. The tortoise, they believed, stayed at some distance from its eggs and by the power of its presence and by its intense concentration on them, caused its eggs to hatch. The third category, the birds, need to have physical contact with their eggs. Sitting on them, they incubate them by the warmth of their body. In this analogy, it is the fish which is the most powerful. By their mere look, their eggs hatch. This is how Sri Bhagavan’s grace worked. He did not need to initiate or transmit grace by touching devotees, nor did he even seem to need to concentrate on them. A single look was often enough to transform whomever his gaze fell upon. All those who have experienced that look of grace can testify to the tremendous impact it had on them. That silent look transmitted his highest teaching. A devotee once complained that Sri Bhagavan gave the highest teachings to everyone, irrespective of their limitations. That particular devotee thought that beginners should be given preliminary exercises, along the lines prescribed by traditional gurus. He even offered to teach these people himself and initiate them! It is a measure of Sri Bhagavan’s greatness that he said that he was not interested in handing out half-truths and lesser teachings. What mattered to him was the dissemination of the purest truth, and for that we shall be eternally grateful. Paul Brunton: The Maharshi emanates the perfume of spiritual peace as the flower emanates fragrance from its petals The peace overwhelms me. I know that there is nothing further that I shall ask from life ¦In the extraordinary peace, I find a sense of exaltation and lightness. Time seems to stand still. My heart is released from the burden of care. Justice Sundaram Chettiar: His very presence generates an atmosphere of peace. Grant Duff: The moment he looked at me, I felt he was the Truth and the Light. I was in direct contact with one who has passed beyond the boundaries of senses and was merged in the Absolute. Justice Chandrasekhar Aiyar: The Maharshi was the veritable storehouse of spiritual energy. He radiates shanti or peace. To be in his presence is by itself a stirring experience in the elevation of the soul. Eleanor Pauline Noye: When He smiled it was as though the gets of Heaven were thrown open ¦At His feet happiness garlanded me. Ella Maillart: He implants a lasting peace in the centre of every heart He is a link between the unknowable ultimate and man. Duncan Greenlees: My mind was caught and held in that peace in a blissfulness it had never known before. He is greatness incarnate. Balarama Reddy: Just to think of him or sit in his presence used to rouse us to higher levels of blessedness The Divine power of his presence was something remarkable, entirely outstanding. S.S. Cohen: Joy and peace suffused my being. Never before had I such a delightful feeling of purity and well-being at the mere proximity of a man. He was a beacon light in an impenetrable darkness. K.K.Nambiar: I felt an indescribable sense of calmness settling over me He was a mighty spiritual magnet, Divinity in human form. Arthur Osborne: The Maharshi was Divine Grace in human form. For the first time in my life I understood what the grace and blessings of a guru could mean. Prof. G.V. Subbaramayya: As our eyes met, there was a miraculous effect on my mind and I felt as if I had plunged into a pool of peace. I sat in a state of ecstasy for nearly an hour. Major Chadwick: It is impossible to describe or even believe what the Maharshi was, unless you have seen it yourself. Prof. K. Swaminathan: The pure happiness I enjoyed was that of a child when it sits securely in its mother’s lap. Akilandamma: The gracious power that prevailed in that holy place numbed the mind so effectively that the visitors to Bhagavan’s room were automatically silenced. Swami Madhavatirtha: While in the presence of the Maharshi, my breath seemed to stop for a while and my mind was elevated into some spiritual realm of unutterable peace and happiness. Kunju Swami: As Bhagavan’s gracious look was fixed on me, all my confusions ceased and I experienced a peace and bliss, I had never experienced before. Chhaganlal V. Yogi: The light of the Maharshi’s eyes was suffusing my consciousness. Even without being aware of it, his silent gaze brought about a subtle but definite transformation in me. Viswanatha Swami: In the Maharshi’s presence the unique bliss of peace was directly experienced. Walter Keers: The light radiating from the Maharshi filled my being, sweeping away all my darkness in one stroke. His presence alone was enough to evaporate the usual mental flow of thoughts, ideas and problems. Mouni Sadhu: Being near the Maharshi one feels the presence of God as a matter of course, no arguments or proofs are necessary. Pascaline Mallet: To look into his eyes was to be caught up into bliss that is beyond understanding. M.A. Piggot: When he smiled I felt as if all the flowers in the world had poured their fragrance into our midst. 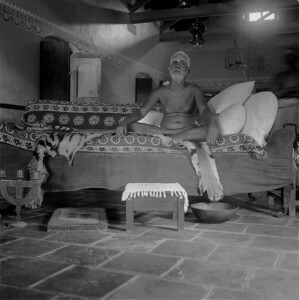 Ramanadasa Sadananda: Contagious was his bliss! He sends forth beams of light of jnana by his mere proximity and fills even the unhappy with joy and peace by his very presence. F.H. Humphreys: The Maharshi’s body was not of man; it was an instrument of God from which God was radiating terrifically. Dr. P.V. Karamchandani: The vibrations which emanated from the Maharshi were heavenly. His spirituality completely enveloped us and our minds attained a state of blissful meditation. V.Kameshwar Rao: When I sat before the Maharshi, I felt that I was in the presence of God. T.K.Sundaresa Iyer: A life-giving current flowed from the Maharshi, charging all those nearby. N.O.Mehta: In the presence of the Maharshi, we were in a world totally different from the one we had left behind. Santha Rangachary: There was an irresistible and indefinable spiritual power about the Maharshi, which completely overwhelmed me. Srimat Puragara Parampanthi: The Maharshi’s spiritual presence was dynamic and clearly perceptible. It touched me and I felt suddenly the presence of a spiritual power taking me to a higher plane. N. Ponniah: Nothing seemed more enjoyable in this world than to sit in silence in the holy presence of the Maharshi. I felt a sort of electric charge an unusual vibrating sensation. Morarji Desai: One gets transformed by his very presence. T.S. Anantha Murthy: Sri Ramana was Brahman in human form. Spiritual illumination was enshrined in him. 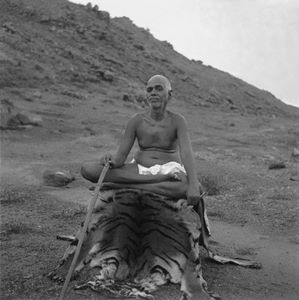 Suzanne Alexandra: The Maharshi is a king of yogis. 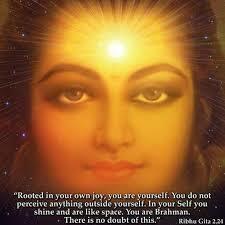 The splendour of his Realisation radiates like a sun. He lifts you far above the world. K. Vithoba Kamath: The Maharshi radiated spiritual splendour through sublime silence. Atmakuri Govindacharyulu: The Maharshi is an ocean of peace. He rules all through silence. Shanti: In the Maharshi’s presence, the mind becomes calm and tranquil of its own accord. Doubts and questions become few and finally vanished. Sphurana is felt on several occasions, such as in fear, excitement etc. Although it is always and all over, yet it is felt at a particular centre and on particular occasions. It is also associated with antecedent causes and confounded with the body. Whereas, it is all alone and pure; it is the Self. If the mind be fixed on the sphurana and one senses it continuously and automatically, it is Realisation. Again sphurana is the forestate of Realisation. It is pure. The subject and object proceed from it. If the man mistakes himself for the subject, objects must necessarily appear different from him. They are periodically withdrawn and projected, creating the world and the subject’s enjoyment of the same. If, on the other hand, the man feels himself to be the screen on which the subject and object are projected, there can be no confusion, and he can remain watching their appearance and disappearance without any perturbation to the Self. The ‘I’ is not known in sleep. On waking, the ‘I’ is perceived associated with the body, the world and non-self in general. Such associated ‘I’ is aham vritti. When aham represents the Self only it is Aham Sphurana. This is natural to the jnani and is itself called jnana by jnanis or bhakthi by bhakthas. Though ever present, including in sleep, it is not perceived. It cannot be known in sleep all at once. It must first be realised in the waking state, for it is our true nature underlying all the three states. Efforts must be made only in the jagrat (waking state) and the Self realised here and now. It will afterwards be understood and realised to be continuous Self, uninterrupted by jagrat, swapna and sushupti (waking, dream and deep sleep states). Thus it is akhandakara vritti (unbroken experience). Vritti is used for lack of a better expression. It should not be understood to be literally a vritti. In that case, vritti will resemble an ‘ocean-like river’, which is absurd. Vritti is of short duration; it is qualified, directed consciousness; or absolute consciousness broken up by cognition of thoughts, senses etc. Vritti is the function of the mind, whereas the continuous consciousness transcends the mind. 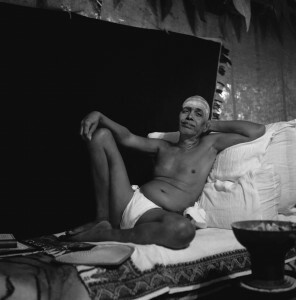 This is the natural primal state of the jnani or the liberated being. That is unbroken experience. It asserts itself when relative consciousness subsides. Aham vritti (‘I’ – thought) is broken. Aham Sphurana (the light of ‘I’ – ‘I’) is unbroken, continuous. After thoughts subside, the Light shines forth. 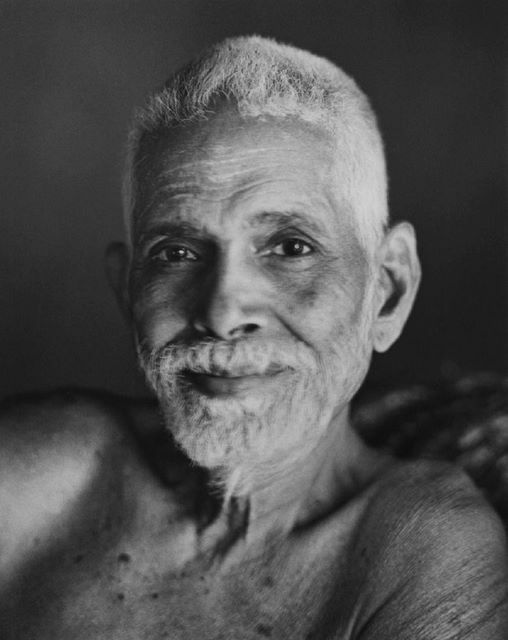 Among all the literary works of Sri Ramana Maharshi, if one were to be chosen as the gospel of the sadhaka on the path of knowledge, it would no doubt be the Upadesa Saram, or the 30 verses on Reality. For, in these thirty brilliant verses set in beautiful poetry, Sri Ramana has compounded the entire truth of Advaita Vedanta as well as laid out the steps to be followed by the jnana marga sadhaka to reach the highest state of Realisation or, in Sri Ramanas words, the True state of Being, the ‘Sat’. The title speaks for itself for it means the Essence of Teaching and is verily so. It would be no exaggeration to say that the profound study of the Upadesa Saaram would give the reader a clear understanding of the Truth and the concentrated practice of its Teachings would certainly lead him to Realisation. The Upadesa Saram is chanted by Brahmin vedic scholars daily in the Ramanashram at 5.30 p.m. at the end of the Yajur Vedaparayanam consisting of Sri Rudram – Chamakam, Namakam, Sri Shuktham and Purusha Shuktham. The story of how the Upadesa Saram came to be composed is quite interesting. The devotee-poet, Sri Muruganar wanted to write 100 verses in praise of Ramana, identifying Him with Lord Shiva. The purpose was to sing the glory of Ramana by drawing a parallel with the legends around Shiva. After Muruganar had composed 70 verses, he wrote about the legend of the sages of Daruka forest. When he came to the point where Shiva had to impart spiritual instruction to the sages, Muruganar cleverly asked Ramana to complete the final 30 verses. Of course he would not accept a no and so Ramana composed thirty succinct verses containing the Upadesa or the Teachings that Shiva imparted to the sages. Disciple : I maintain that the physical body of the man sunk in samadhi as a result of unbroken contemplation of the Self becomes motionless for that reason. It may be active or inactive. The mind fixed in such contemplation will not be affected by the body or the senses being restless. A disturbance of the mind is not always the fore-runner of physical activity. Another man asserts that physical unrest certainly prevents activity. Another man asserts that physical unrest certainly prevents Nirvikalpa Samadhi or unbroken contemplation. What is your opinion? You are the standing proof of my statement. 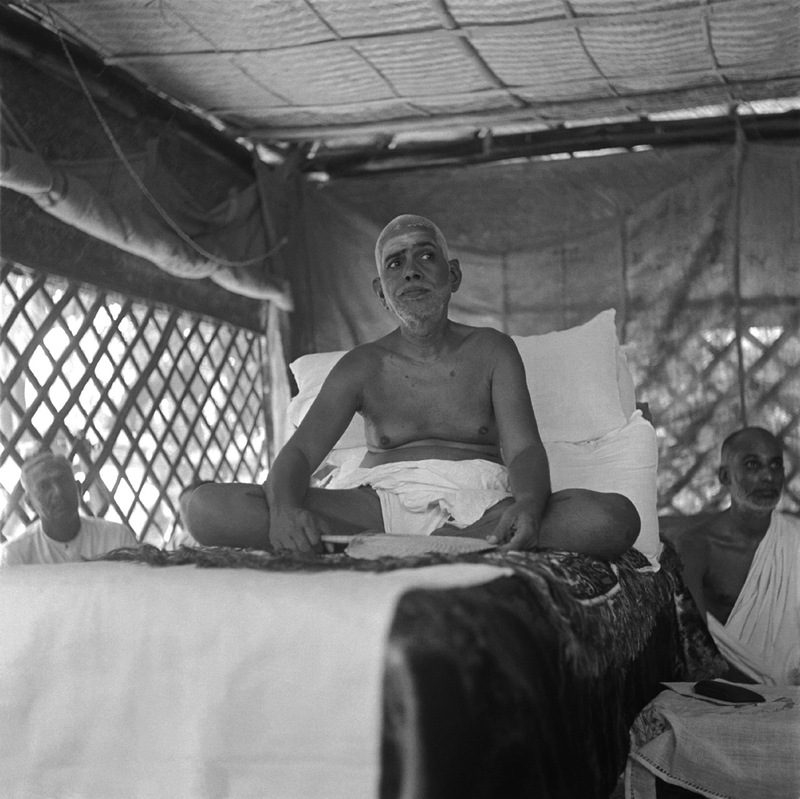 Sri Ramana Maharshi: Both of you are right, you refer to Sahaja Nirvikalpa and the other refers to Kevala Nirvikalpa. In the one case, the mind lies immersed in the Light of the Self (whereas the same lies in the darkness of ignorance in deep sleep). The subject discriminates one from the other, – Samadhi, stirring up from Samadhi, and activity thereafter, unrest of the body, of the sight, of the vital force and of the mind, the cognization of objects and activity, are all obstructions to him. In Sahaja, however, the mind has resolved itself into the Self and has been lost. Differences and obstructions mentioned above do not therefore exist here. The activitiies of such a being are like the feeding of a somnolent boy, perceptible to the onlooker (but not to the subject). The driver sleeping on his moving cart is not aware of the motion of the cart, because his mind is sunk in darkness. Similarly the Sahaja Jnani remains unaware of his bodily activities because his mind is dead – having been resolved in the ecstasy of Chid Ananda (Self). The two words contemplation and samadhi have been used loosely in the question. Contemplation is a forced mental process, whereas Samadhi lies beyond effort. Rivalry over sitting on Bhagavan’s lap ! When Bhagavan was living on the hill, this incident took place. Bhagavan loved children and was charmed by their innocence. He admired their lack of hypocrisy. Vajreswari, the four year old daughter of Kavyakanta Ganapathi Muni, a staunch devotee of Bhagavan and a well known Sanskrit scholar, had full liberty with Bhagavan and would insist on sitting on his lap whenever she came. Bhagavan would often call her near him, and show her affection by putting her on his lap and talking to her. Finally both the child and the monkey sat together on Bhagavan’s lap fully satisfied and enjoyed each other’s company. Is this not a practical demonstration of Bhagavan’s great love for all beings irrespective of their forms? Bhagavan Ramana: “How? There is a story about it. Two friends while travelling on business slept the night somewhere, and one of them had a dream that he and his companion had gone together to several places and had done various things. On rising in the morning, the other man had nothing to say, for he had slept soundly. He merely said, “I have gone nowhere, I have been here only”. As a matter of fact, neither had gone anywhere; but the first man had only an illusion of having gone. Similarly, to those who look upon this body as real, and not unreal as in a dream, it may appear real, but strictly speaking, nothing affects the jnani”. Bhagavan Ramana replied “Enquiry is not the only way for gaining realisation. If one does spiritual practice (sadhana) with name and form, repetition of holy names (japa), or any of these methods with grim determination and perseverance, one becomes THAT. According to the capacity of each individual, one spiritual practice is said to be better than another and several shades and variations of them have been given. Some people are a long way from Tiruvannamalai, some are very near; some are in Tiruvannamalai, while some get into Bhagavan’s hall itself. For those who come into the hall it is enough if they are told as they step in, ‘Here is the Maharshi’ and they realise him immediately. For others they have to be told which route to take, which trains to catch, where to change, which road to turn into. In like manner, the particular path to be taken must be prescribed according to the capacity of the practiser (sadhak). These spiritual practices are not for knowing one’s own Self, which is all pervading, but only for getting rid of the objects of desire. When all these are discarded, one remains as one IS. That which is always in existence is the Self – all things are born out of the Self. That will be known only when one realises one’s own Self. So long as one has not that knowledge, all that is seen in this world appears as real. Supposing a person sleeps in the hall, in his sleep he dreams of going somewhere, loses his way, wanders from one village to another, from one hill to another, and during that time searches without food or water. He suffers a good deal, enquires of several people and finally finds the correct place. He reaches it and feeling that he is stepping into this hall, greatly relieved he opens his eyes with a startled look. All this will have happened within a short time and it is only after he wakes up that he realises that he had not been anywhere. Our present life is also like that. When the eye of knowledge is opened, a person realises that he remains ever in his own Self”. Posts from Arunachala-Live uses WordPress as content manager.